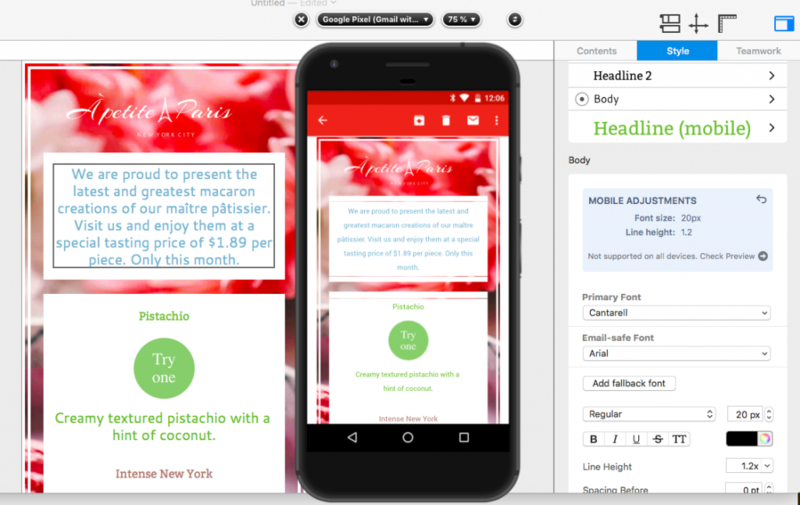 Mobile only styles offer you a simpler way to edit your smartphone content without having to detach your mobile layout blocks from your main design. If you head back over to the main Desktop view, you will notice that the blue box is still in the Style menu to remind you, and anyone else collaborating on the design, of the changes you’ve made. To reset the mobile only changes you can click the undo arrow in the top corner of the blue box. This will default your text style back to the desktop version across both designs.